Low cost of production meets high revenue in this exceptional purebred Piétrain terminal line. When feed efficiency, throughput efficiency and lean yield are at the top of your list, the Hypor Maxter is your boar. Hypor Maxter has achieved widespread commercial success thanks to its exceptional leanness, high efficiency and extremely fast growth rate. 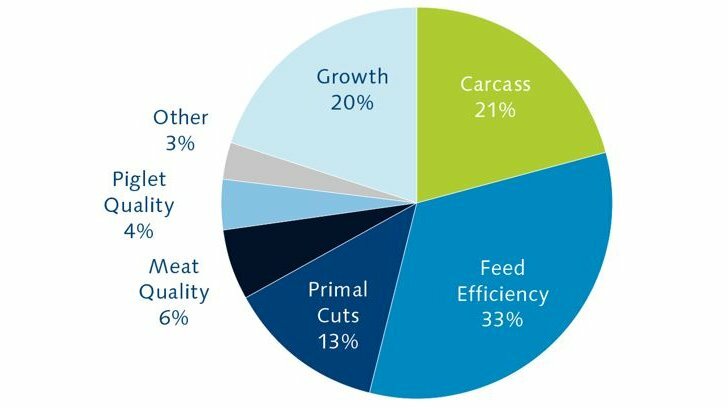 Hypor is continuing to push the boundaries on feed efficiency in Hypor Maxter and all of its product lines – the result is more efficient pigs and lower costs at the commercial level. No longer do growth and consistency have to be compromised in the pursuit of lean. 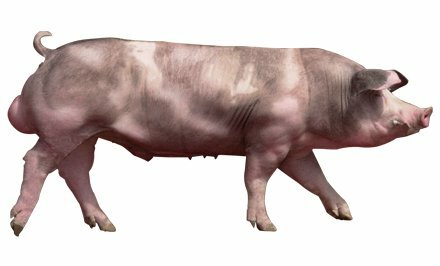 Hypor Maxter produces fast growing, efficient, and uniform hogs that meet the high lean specifications of the most demanding processors. Minimizing weight variance at the outset helps minimize it at the end. Hypor Maxter progeny are more uniform in build and weight from birth to market. What we select for in the Hypor Maxter? Want to know what the Hypor Maxter can bring for you?